Join us at the Cleveland Arms for our popular quiz night on Wednesday 6th February at 8pm. 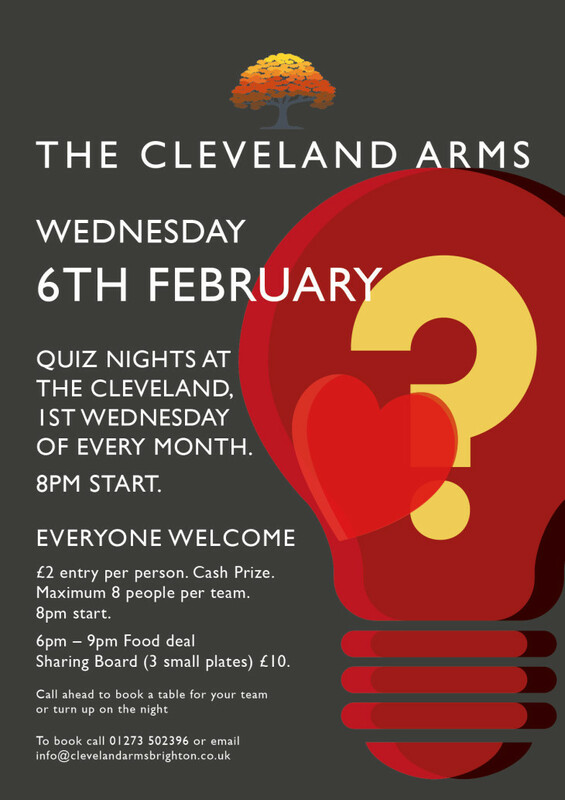 £2 per person with cash prize and other prizes. Maximum 8 per team. 6pm-9pm sharing boards are £10 for 3 dishes.